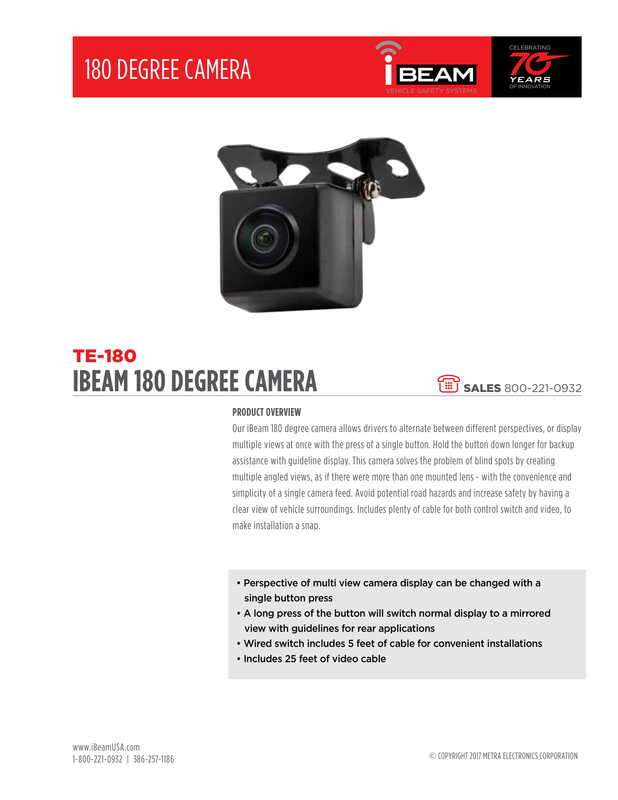 Our iBeam 180 degree camera allows drivers to alternate between different perspectives, or display multiple views at once with the press of a single button. 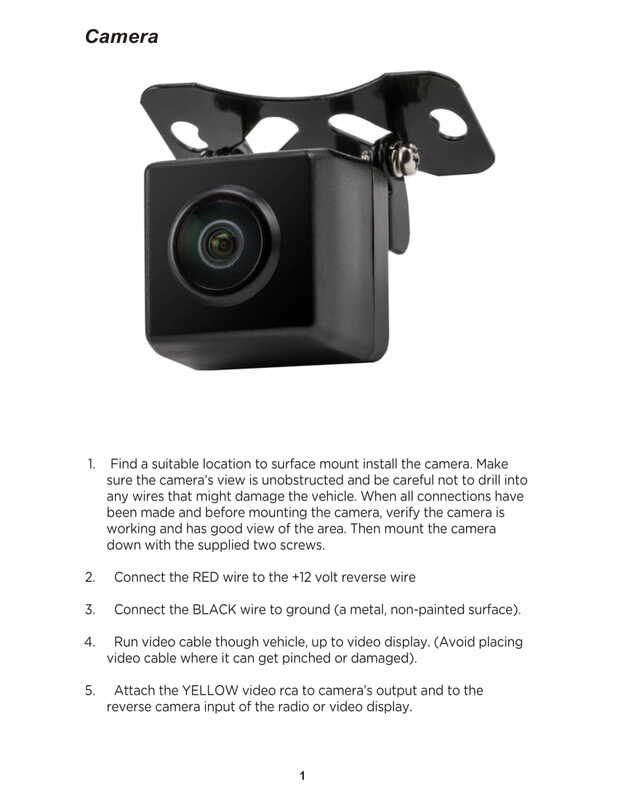 This camera solves the problem of blind spots by creating multiple angled views, as if there were more than one mounted lens - with the convenience and simplicity of a single camera feed. 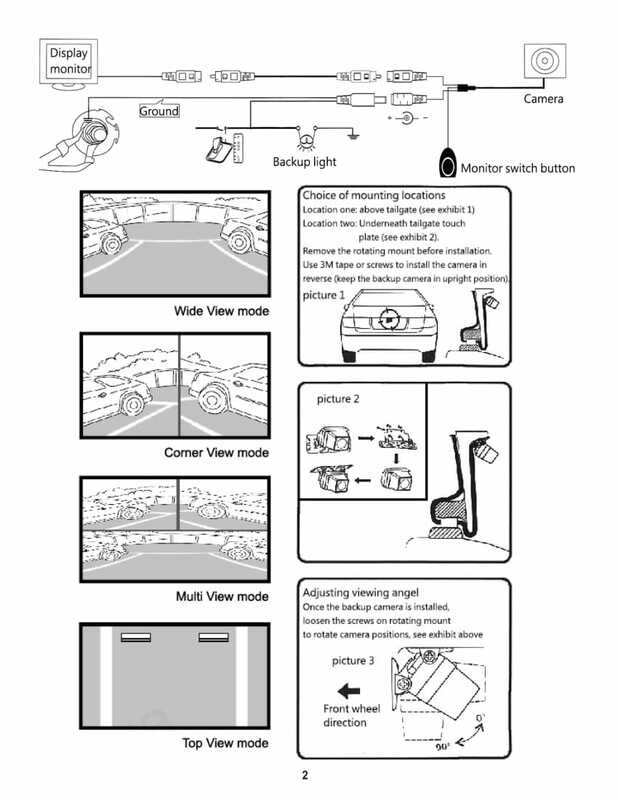 Avoid potential road hazards and increase safety by having a clear view of vehicle surroundings. Includes plenty of cable for both control switch and video, to make installation a snap.